For the last four seasons the Denver Broncos have been the kings of the division. 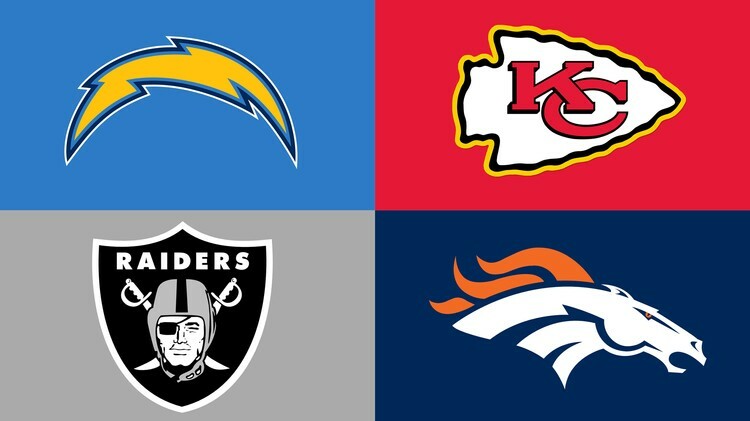 Last season, the Kansas City Chiefs and San Diego Chargers made a push to dethrone them, but to no avail. There were questions surrounding whether Peyton Manning would come back for another season, and his decision to return all but ensured another division title for Denver, who may have an easier time this season than last. Peyton Manning will return for the Denver Broncos, but two of his favorite targets, TE Julius Thomas and WR Wes Welker will not. Manning has never had a problem making stars out of his wideouts, and this year, even despite his advanced age, should be no different. The Broncos hope to have an improved rushing attack this year, the first under new Head Coach Gary Kubiak. They also hope TE Owen Daniels, who thrived in Kubiak’s system in Houston, can replace Julius Thomas. The Broncos were an underrated defensive team a year ago, ranking in the top 5. They have lost some defensive players, namely DT Terrance Knighton, but still have pass rush experts Von Miller and DeMarcus Ware, along with rookie OLB Shane Ray. Their secondary is solid, with CB Aquib Talib and SS TJ Ward making it difficult on opposing wide receivers. The Broncos have not made many strides since last season, but neither has the rest of the division, so expect Denver to hold the crown at least one more season. Last season the San Diego Chargers just missed the playoffs, and they were that close thanks in part to QB Phillip Rivers’ return to elite status. He was the front-runner for MVP midway through the season. This offseason the Chargers attempted to upgrade their offensive and defensive lines in free agency, but did not lure the talent they had hoped. They made some waves in the draft, but will it be enough for them to make a playoff push this season? The biggest name San Diego added was their first round pick (#15 overall) RB Melvin Gordon out of Wisconsin. They needed to address their running game, or lack thereof, and since the offensive line did not quite fall into place like they hoped, they are optimistic that Gordon can assist to take some of the pressure off Rivers. However, not much has really changed in San Diego, so it is difficult to imagine this team being much better than last season. Last Season, in Andy Reid’s second season as head coach the Kansas City Chiefs struggled to find any consistency. They got shaky quarterback play from Alex Smith, and did not have a wide receiver catch a touchdown pass all season. Despite their issues they finished in second place in the division. Star running back Jamal Charles started out slowly, but stayed healthy and eventually reached 1,000 rushing yards. They fell just short of making the playoffs. This year, the third under Andy Reid, The Chiefs look to build off the momentum they built last season. Their top WR Dwayne Bowe is gone, and Jeremy Maclin has been brought in from Philadelphia to replace him. On defense, star S Eric Berry is fighting cancer and will not play this season. While it is a tough loss, they hope the addition of S Tyvon Branch and rookie first round pick (#18 overall) CB Marcus Peters, will allow them to be competitive. I feel that with everything going on, they will struggle this season. The Oakland Raiders made some noise this offseason. It started back in January when they hired former Jacksonville Jaguars coach Jack Del Rio. Then they signed LB Curtis Lofton and S Nate Allen to sure up the middle of their defense. They added RB Trent Richardson in hopes that he returns to the level he played his rookie season, but have since cut him. They signed WR Michael Crabtree away from their rivals across the Bay. In the draft, they added perhaps the most explosive weapon available, WR Amari Cooper, in hopes that he will provide a reliable target for second year QB Derek Carr. With all the changes I expect the Raiders to be a better team. But they play in a tough division, and with so many new faces, it may take a month or two for everybody to get acclimated to the new systems. They are a young, talented team, but it is not their time yet. I expect Oakland to start out slow this season but finish strong, building momentum for next season. They are still a year away from the playoffs. This entry was posted in Opinion, Sports and tagged AFC West, Alex Smith, Amari Cooper, Andy Reid, Aquib Talib, Curtis Lofton, Demarcus Ware, Denver Broncos, Derek Carr, Dwayne Bowe, Eric Berry, Gary Kubiak, Jack Del Rio, Jacksonville Jaguars, Jamal Charles, Jeremy Maclin, Jukius Thomas, Kansas City Chiefs, Marcus Peters, Melvin Gordon, Michael Crabtree, Nate Allen, NFL football, Oakland Raiders, Owen Daniels, Peyton Manning, Philadelphia Eagles, Phillip Rivers, San Diego Chargers, Shane Ray, sports, Terrence Knighton, TJ Ward, Trent Richardson, Tyvon Branch, Von Miller, Wes Welker, Wisconsin. Bookmark the permalink.